This semester-long residency was designed by Lynn Grossman (Helendale Road Primary School), Emily Wozniak (Juilliard), Dr. Ann Marie Stanley (LSU School of Music), and a string quartet of graduate students. 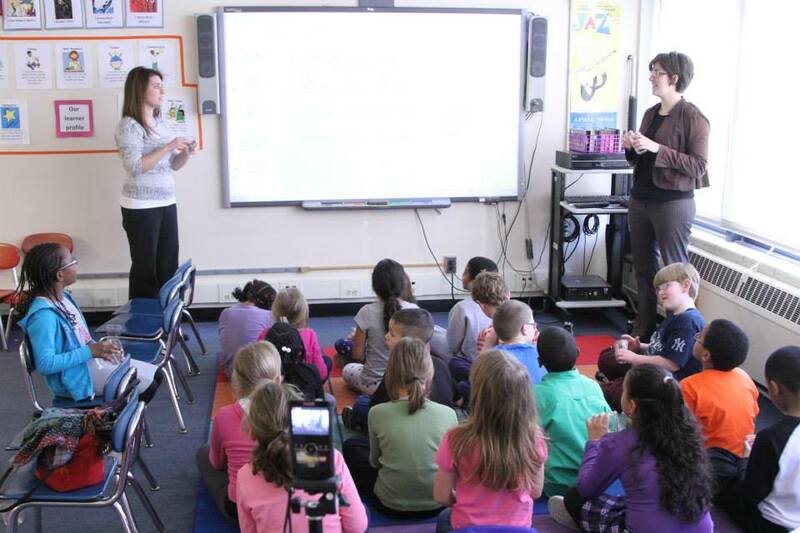 The quartet made seven visits to Lynn's second-grade classroom in the fall of 2013 and worked with her to create musical activities that complemented existing teaching plans. The partnership was designed to showcase similarities between graduate-level musicians and second grade musicians. Students learned about string quartet music and developed communication, problem-solving, and cooperative learning skills through interactive presentations in the classroom. Research from the project was featured in a workshop and paper presentation at the Research in Music Education Conference held at the University of Exeter in the UK (April 2015). 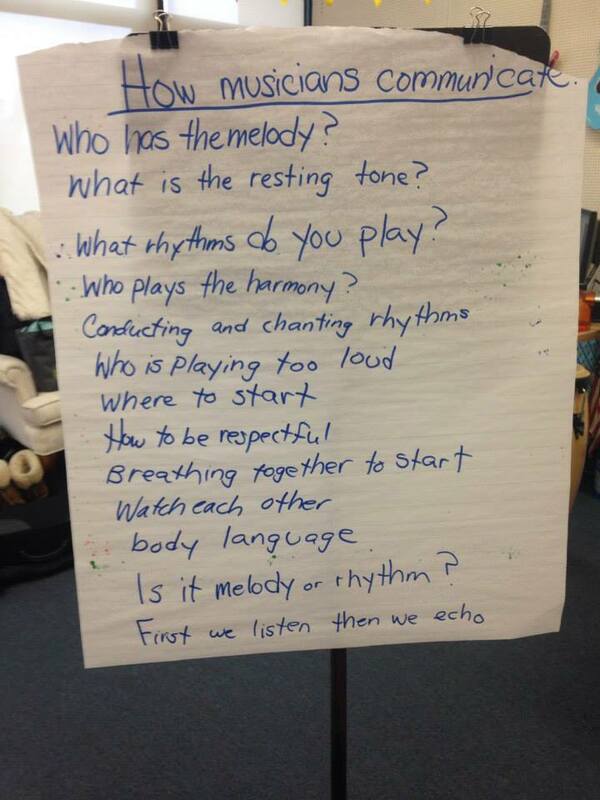 Additionally, Lynn and Emily won Yale Distinguished Music Educator awards and were invited to the the 2015 Symposium on Music in Schools in New Haven, CT.
Lynn Grossman specializes in elementary general music education. She has a B.M. and M.A. from the Eastman School of Music. Lynn taught K-2 music in the East Irondequoit School District (Rochester, NY) for eight years and now works at Allendale Columbia in Pittsford, NY. 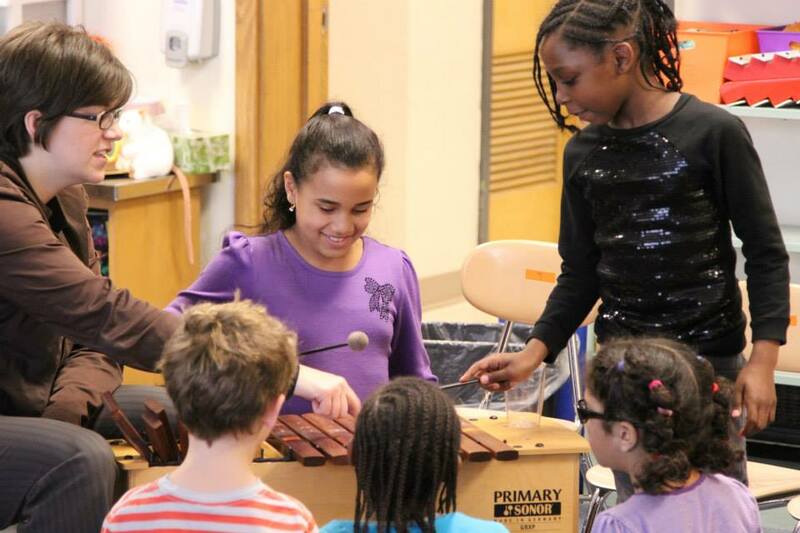 Lynn also has experience as a lead teacher at the El-Sistema-inspired after-school music program, ROCmusic, and is president-elect for the New York Chapter of the Gordon Institute for Music Learning. Lynn is co-author of a chapter in the forthcoming Envisioning Music Teacher Education (Rowman and Littlefield). She has also presented her work at the Society for Music Teacher Educators, the American Education Research Association Annual Meeting, and the Research in Music Education Conference. Emily Wozniak studied horn performance, music education, and arts leadership at the Eastman School of Music (University of Rochester) and completed her master's degree in 2013. In Rochester, Emily worked for the university in Advancement and as an instructor in Eastman's Arts Leadership Program. As a graduate student, she collaborated with classmates to found Sound ExChange and ALAUDA, through which she has led a variety of initiatives to support the performing arts. Emily is currently based in New York City, where she works at The Juilliard School as Major Gifts Officer in the department of Development and Public Affairs. As a performer, Emily participated in summer music festivals at Aspen and Sarasota and with the Youth Orchestra of the Americas. An advocate for music education, she taught extensively in Houston public schools for two years. Emily's educational research was accepted into the 2015 Research Conference at the University of Exeter, UK, and she was recognized with the Yale Distinguished Music Educator award. For her work with Sound ExChange, Emily has received awards from Eastman’s New Venture Challenge, the New York State Business Plan Competition, and Digital Rochester. She has also given a TedxTalk and served as a moderator for the 2015 Chamber Music America Conference. Dr. Ann Marie Stanley is an Associate Professor of Music Education at Louisiana State University. She received a Ph.D. in Music Education from University of Michigan in 2009. Before entering academia, she taught public school general music and children’s choir for seven years in California. She has a BM and MM in oboe performance from Wichita State University and teaching credentials from California State University, East Bay. Dr. Stanley was on the faculty of the Eastman School of Music from 2007-2016. At Eastman, Dr. Stanley was the doctoral advisor for all DMA and Ph.D. students in Music Education. She taught undergraduate elementary and secondary music education methods courses, graduate seminars in the History and Philosophy of Music Education, and was the advisor of the Summers-Only Master’s Degree in Music Education Program. Dr. Stanley has written on musical collaboration, music teacher professional development, curriculum, and qualitative research methodologies in Arts Education Policy Review, Bulletin for the Council for Research in Music Education, and Research Studies in Music Education. She has authored four book chapters, one in the Handbook of Qualitative Research in American Music Education (2013, Oxford University Press), one in Visions of Music Teacher Education (2015, Rowman and Littlefield) one in Curriculum and Assessment in Music (2014, GIA Publications) and one in Learning From the Inside Out Through Self-Study of Professional Practice (2016, Sense Publishers). Dr. Stanley is also widely known for her interactive workshops and clinics on creative collaboration in elementary and secondary general music.